Sometime last year, The Five-Year-Old discovered the highly informative children’s book series “The Cat in the Hat Knows A Lot About That.” The books relay all kinds of fun facts about the natural world in a Seussian rhyme scheme. The lively presentation has convinced The Five-Year-Old that words that rhyme have some special connection, if only she can find it. After consulting our copy of the Merriam-Webster dictionary, I told The Five-Year-Old that the word kitten comes from the Latin cattus. 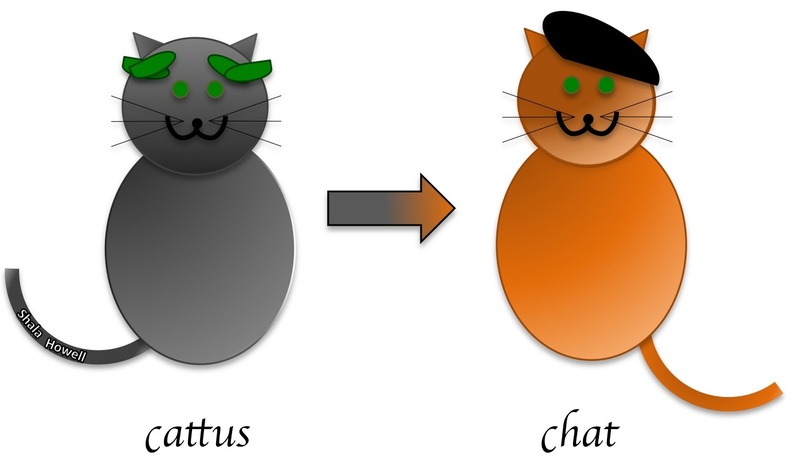 At least 600 years ago, the French took the Latin word for cat (cattus) and turned it into the French word for cat (chat). 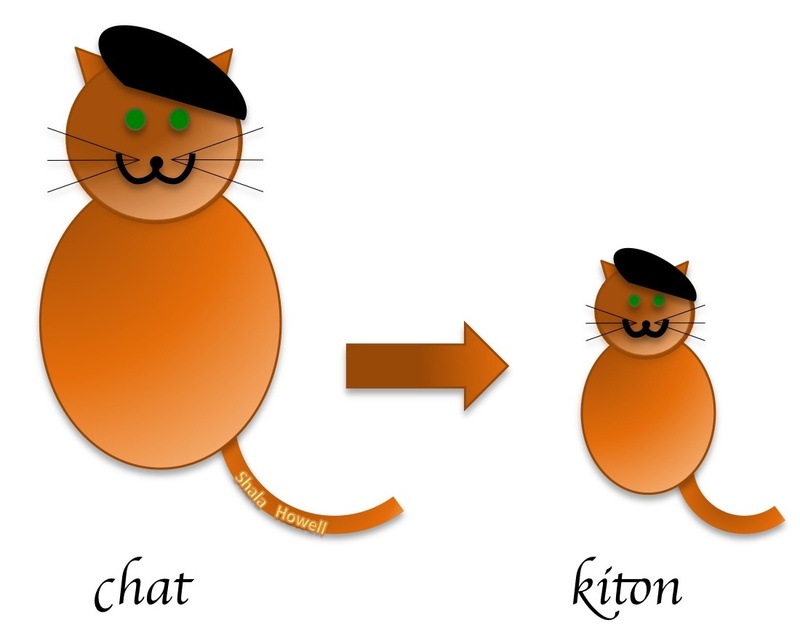 And because kittens are small cats, the French made a small word, kiton, to talk about them. So I explained that when I said small word, I meant a nickname. OK. So anyway, the folks who lived in Britain in the Middle Ages — 600 years ago — heard the French word kiton, and liked it enough to start using it themselves. At first, the British said kitoun…. I don’t know. Maybe they didn’t hear it right the first time. Or maybe, like me, their French accent is terrible. 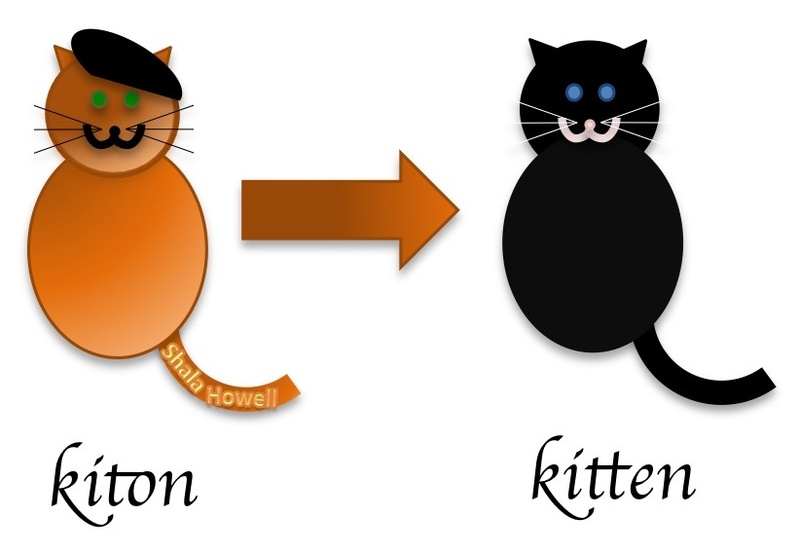 Regardless, by the 14th century the Middle English word kitoun became our word kitten. I didn’t know that. How fun. One of the things I’m enjoying about my daughter’s rhyming / linguistics phase is the fact that her questions prompt me to explore words I take for granted. I tend to reserve my excitement for new to me words like prestidigitation, but it turns out that everyday words can be pretty interesting too. You do good to get all that down! Thanks! It’s so much fun, too.